The outfit - creates camaraderie (like a team outfit) and actually builds membership. each part of the membership kit should contain a branded name tag (with Court 16 logo) and space for the kid to write their name (parent's first name or phone number?). This is helpful as everyone will have the same gear. 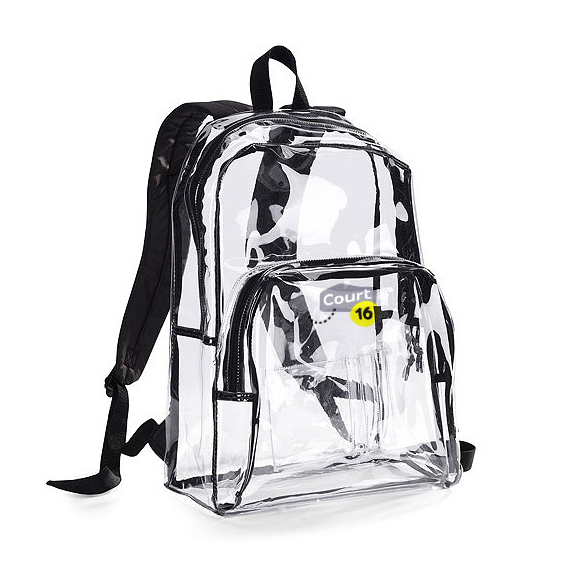 Possibly a clear (translucent) backpack. Not a sports bag, but a backpack that the kid can take to school so his/her friends see it. One option, but with bright colors and fun pattern. via blog collegefx.